DO I NEED A ROOF? 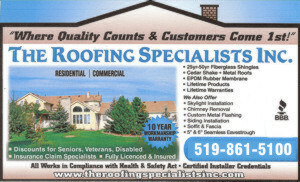 Welcome to The Roofing Specialists Inc. Welcome to website of The Roofing Specialists Inc. We specialize in residential and commercial roofing projects of all shapes and sizes. 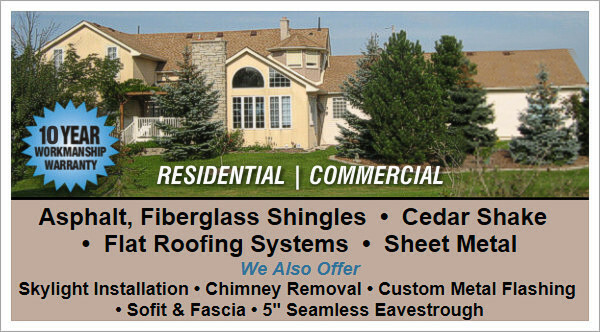 Whether its asphalt, fiberglass, or cedar shake shingles we can meet your needs. We also do flat roofing systems and sheet metal. Other services we provide include skylight installation, chimney removal, custom metal flashing, sofit & fascia and 5″ seamless eavestrough. Copyright © 2019 The Roofing Specialists Inc. - Where Quality Counts & Customers Come 1st!